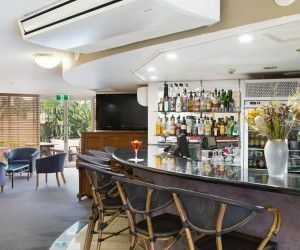 The most popular hospital in Brisbane for War Veterans and our accommodation near Greenslopes Hospital Brisbane has to be one of the best value options around for staying in Brisbane. The Wellington Apartment Hotel is Brisbane accommodation near the CBD, Suncorp Stadium, The Gabba and Southbank. 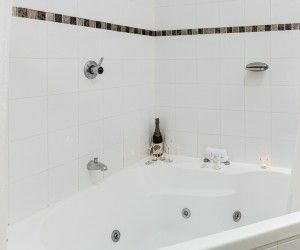 Whether you are waiting for admission, are an outpatient, or visiting a patient, our four star boutique accommodation provides you with the best of both worlds of hotels and self contained apartment accommodation. Choose between a hotel style studio, or two bedroom apartment with a kitchenette. Our accommodation is crisp, clean and modern, with table/ workstations and wi-fi as well. We have accommodation close to a range of Brisbane hospitals to suit all requirements. From classic hotel rooms with room service, to studio apartments, or self contained two bedroom apartments with a fully equipped kitchens. We have a certified disabled apartment with wheel chair access. If you just require a bath handle when accessing the bath – please let the staff at The Wellington know. Our in-house Boots Restaurant is equipped to cater for all dietary requirements. Choose from a la carte menus, or vegetarian and vegan meals that the chef can prepare for you with fresh produce from the restaurant pantry. We can also prepare gluten-free meals if you let us know 24 hours in advance. Wellington Street is a one way street and this makes for quite predictable for entry and exit from our property in a car. Travel north and then doubleback on LaTrobe for quick transit to Greenslopes. The hospitals are close to the M3 motorway but depending on the time of day, using the arterial roads will get you to your destination in a timely fashion. Coming back: Take Vulture Street East until you reach Wellington Street. Turn left and stay on course until you arrive at Wellington Apartment Hotel. Take Vulture Street East until you reach Wellington Street. Turn left and remain on Wellington Street until you reach Wellington Apartment Hotel. For an clean and comfortable accommodation location at a great price, our accommodation near Greenslopes Hospital Brisbane is hard to beat. 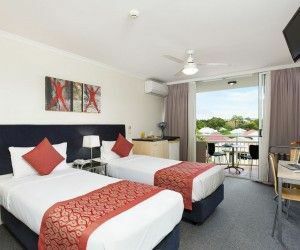 Book your central Brisbane accommodation at the Wellington Apartment Hotel Brisbane now.